How many times have you been to a Haitian restaurant, you love the food but the the lady in the front always forget to smile? Question: What's your experience with the Haitian restaurant in your neighborhood? Is the lady in the front nice to you oris she rude? true that Haitian businesses lack service. however, we patronage Asian American businesses where rudeness is part of a lot of their services yet we continue to support them daily. I am not giving Haitian businesses a pass. What I am saying is that we need to continue the dialogue but not stop doing business with them. We can continue to ask for change but we need to count as Haitians in the states. There is a major difference between "restaurant" and "bwat manje". Haitian businesses lack customer service skills do to the fact that many of them have a business because someone put up the money for them to have it. They simply have to show up and look somewhat pretty, and someone else does the work. O O! Pa palé bagay sa a menm ! Menmsi sé pa tout. Épi li toujou bon lè nou fè pwòp manjé nou ak men pa nou pou nou manjé. Manbo yo oswa bòkò yo, sanpwèl yo ak masonlòj yo gen ka ap véyé nou pou yo tiyé nou épi nou pa menm konnen; yo ka byen péyé chèf réstauran sa yo anba tab épi yo glisé chèf réstauran pwazon pou tiyé nou, si yo pa gen Jézi kisa yo pap fè? As a white american who was partly brought up by a haitian woman I visit many haitian restaurants both here and in Haiti. I have found that in Florida there are many good restaurants however in many of them they are rude and arrogant and act as though they are doing you a favor. I get very angry when I see this as I love the Haitian people so much. yet there are quite a few restaurants that treat you very nice and make you feel at home three of them in particular are very nice they are Deluxe restaurant in north Lauderdale Bistro Creole in North lauderdale and Alberts in Ft Lauderdale. A lot of them. They think they are doing you a favor. 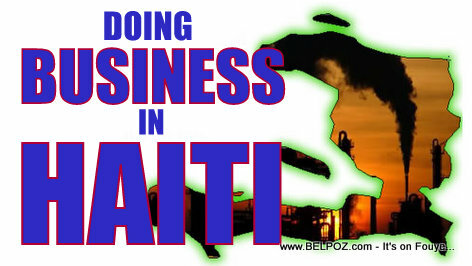 Haitians don' t know how to do business. Isn't it too late for that! No matter what you do, the Haitians hostesses will be spectacularly rude.